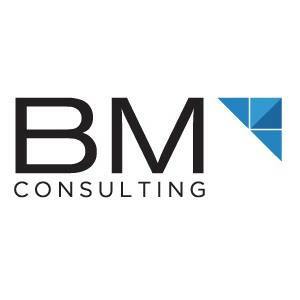 In this world where metamorphosis and transmutation are the oxygen of the business sphere, we at BM Consulting leave no stone unturned for achieving excellence in the nucleus of our dexterity. Our team of versatile experts are impelled by a fervor to excel and we abide by our credence to furnish superior services to our clients. Our core areas of supremacy include digital marketing, web development and strategy, inbound marketing, content writing, pay-per-click, social media marketing, mobile and email marketing and search engine optimization. Our nitty gritty: We are constantly undergoing change and see immense potential in the polymorphous field of digital marketing. Kanhaiya Upadhyay (Founder): Before starting his stint as a CMO in BM Consulting, he has prior experience as a marketing manager and flaunts 6 years of expertise in the digital marketing. He is an Engineer with specialization in computer engg from Pune University. His credentials include Google certification, Google Analytics and HubSpot Inbound marketing. A simple name with no cheesy adverbs, we portray our professional experience to the clients and let our work do all the talking. We administer a state-of-art experience and are gradually evolving as the word about us is steadily spreading in the digital marketing sphere. We believe that digital marketing is multifaceted and multigenic. We create a digital scaffold for each client, be it from taking a brainchild idea of a startup to evolve into a successful company or to help an established client embrace digital marketing. We believe that digital marketing has ubiquitous importance and all other types of marketing will occupy a backstage in this scenario where it seems digital marketing is on its highest octanes and is booming by leaps and bounds. Tweaking the same digital marketing strategy for all clients leads to doom. We make it a point to jot down those “few things” which gives each client a unique aura. We accentuate those points which would make our clients position an inch ahead of competition, understand their desideratum, budget as well as their policy to grow. We then endeavor with them to contrive and audit a plan which works the best with them. Thus by navigating to newer strategies for each client, we make sure he is able to burst the bubble in the field of digital marketing with our help. We generate qualified leads that are highly relevant, cost effective and thoroughly measurable by apparent digital marketing channels. Though our strategies are not earth moving, we make sure to create a memorable customer experience. Our end goal does not guilelessly revolve around selling a product or service, but to maintain the avant-garde transparency among clients. We curate to each client’s needs exclusively making their satisfaction our focal point. Our trademarks include we’re ROI focused, quality assured and provide prompt response. There is colossal exploitation of ambiguous social networking laws in this age where “innovation” is the new buzzword in the blogosphere of digital marketing which has become more entwined with social media than ever before. We learnt it the hard way that many a times we think our product or service is perfect but the clients do not perceive it in the same way. So we have started this procedure of taking feedbacks as we learnt that our opinion may not always be the best one. Qech, USINPAC, Vyankatesh Pariwar, t-Brains, Swadha, Taal Inc., Marvel Realtors, Dr. D.Y. Patil Vidyapeeth, Pune Home, Kolte Patil, Epitome Engineering, Testo India Private Limited, MIT-SOM. Digital marketing will offer a prodigious opportunity to showcase a holistic approach in entailing all tillage’s of marketing right from managing multichannel enterprises to optimization of a customer’s entire digital microcosm. A day without internet would lead to a chain reaction right from getting disconnected globally to being unable to complete our assignments making us feel crippled and consequently leading to a famine to paychecks.